Microsoft's renaming of SkyDrive to OneDrive wasn't the only change the software maker had on tap for its online services this week. On Thursday, the company officially renamed Office Web Apps as Office Online. The new name doesn't translate into a lot of new features, but there are a some differences that come with the rebranding. Microsoft said the name change was inspired in part by the fact that the name "Office Web Apps" was confusing to some people. Worse, many users didn't know that you could only find the web apps by creating or opening a document in OneDrive—they were pretty well hidden, and not at all obvious. 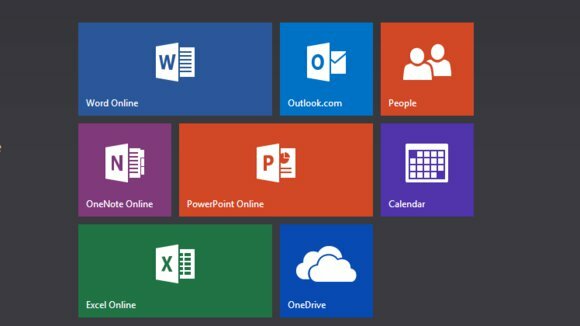 So to shine a light on Office Online, Microsoft redesigned Office.com with a set of tiles offering direct links to each online app. That's it above. You now have more choices in the app bar when switching between Microsoft's online apps. The usual way you switch between Microsoft's various online services—including Outlook.com, OneDrive, Calendar, and People—is to click on the downward facing arrow in the left corner, next to the product's name. This brings up an app bar that lets you switch between the services. The app bar now includes options for all of the Office Online apps as well as the ones you're used to seeing. Microsoft is still rolling out the changes to Office Online, so you may not see the new app bar across all of the services just yet. You should see it however, when you use any of the Office apps, such as Word Online, Excel Online, and OneNote Online. 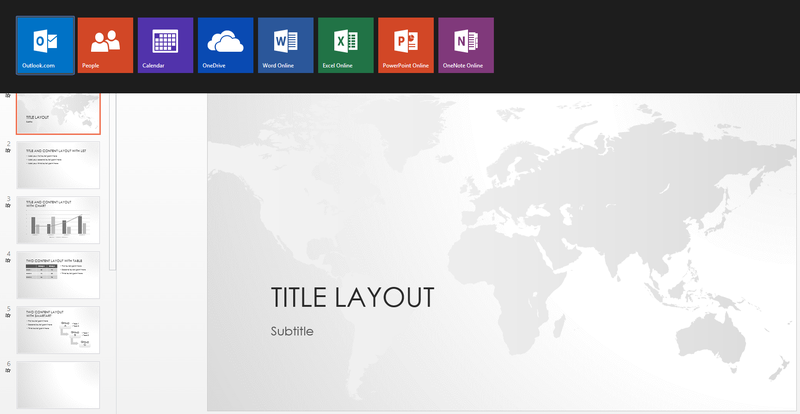 Office Online makes it easier to fine templates for your documents. Microsoft is also making it easier to discover templates for Excel, PowerPoint, and Word. When you open an Office Online app from the new app bar, you don't automatically land on a blank workbook or document. Instead, Microsoft shows you a new "Let's get started" banner that lets you start with a blank file, browse Microsoft's templates or see a list of your recent documents on OneDrive. Microsoft's collection of templates are available directly from Office.com, you'll also find some under File > New within the apps themselves, helping you to create basic outlines for budgets, resumes, and project planners. The Office Online rebranding is more of an awareness change than a functional one, but there's no doubt that "Office Online" drives home the point of the web offerings better than "Office Web Apps"—and their new-found focus at Office.com and across the Microsoft family of websites should only help to introduce Office's web-based options to even more people.